With BRIQUOLO-0.5.7 the window is not in fullscreen by default. There is also some improvements about error messages, and the choice of resolution. Thanks to Bernhard Kaindl for the patches. BRIQUOLO-0.5.6 brings a new translation (Finn, thanks Eero Tamminen). The window can now be freely resized: it should help multihead users. Furthermore, it fixes some bugs (problem of bad mouse move detection, problem of font drawing after window resizing under Windows...). BRIQUOLO-0.5.5 brings small code cleanups (from Philipp Thomas and Anthony Mercatante). Furthermore, Windows binaries are back with this version. BRIQUOLO-0.5.4 brings a new translation (slovak, thanks Pavol Cvengros), a limitation of the acceleration of the ball and the correction a compilation bug with gcc-4. BRIQUOLO-0.5.3 brings three new translations : German (Stefan Dirsch), Polish (Artur R. Sierp) and Portuguese (Helder Correia). Furthermore, BRIQUOLO is now added to the desktop's menu at the time of the installation. If your language is not yet present, you can make the translation and send it to me, it's very simple. With this version you can also find an SVG icon (data/briquolo.svg). You can see it on the top of the page. A bug in the ./configure script has been corrected in BRIQUOLO-0.5.1. After more than one year, here is a new version : BRIQUOLO-0.5. The main new feature is the collision system that allow to have moving bricks, and free form bricks. Levels are now organised by groups. This new version also corrects the compilation bug under gcc-3.4. And lastly there are some little improvements like those brought by D.Mills (invertion of water flow, increase water level, and two colors for bonus and mallus), or the vibration of the camera when a little brick explode. Release of BRIQUOLO-0.4.2. This version corrects two small mistakes in the dutch translation. Release of BRIQUOLO-0.4.1. This version offers a dutch translation, and allow to change the sensibility of the mouse and the keyboard. The change of view to the subjective one is now progressive. Some bugs have been fixed. Release of BRIQUOLO-0.4. This version remove the subjective view from views accessible by the C key, and offer it as a new bonus (or mallus...). This version allow to run the game without the make install, although it is still recommended. 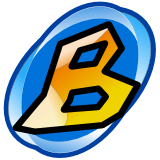 Creation of the WEB site and first public release of BRIQUOLO.